Former Southern Saint Seb Serrano will return to the AFL New Zealand Premiership in 2019 after he was selected by the Central Giants in the National Draft. 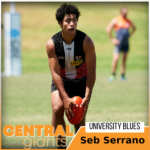 Serrano missed the 2018 season due to injury and is now back playing for the University Blues in the Auckland AFL. 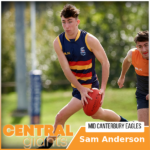 Along with Serrano, the Giants have also drafted exciting Academy Graduate Sam Anderson and Nathan Ryan from Canterbury. The Central Giants have picked up this developing midfielder for the 2019 season. Sam played as a development player in 2018 and brings purpose to training and games. A round 6 rising star award winner, Anderson was part of the U18 squad that travelled to Melbourne in May this year. Sam is hungry for the footy around the contest and uses his fitness and agility to evade the opposition. Exciting youngster Sebastian Serrano will return to Premiership footy in 2019. 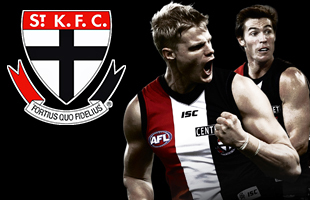 The 19 year old Aucklander has shown maturity and experience in his short time playing AFL. In 2016, Serrano captained the AFL New Zealand Level 2 Academy side against the Peninsula Saints and showed leadership, courage and determination. With leadership qualities and consistent development, Seb could be a regular name in the senior New Zealand side in years to come. Serrano is a very tenacious player, hard at the contest and has continued to develop his skill and link play over the years. Nathan Ryan will make his debut in the 2019 AFL New Zealand Premiership for the Central Giants. 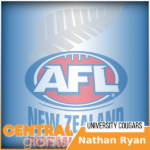 Fresh off a Canterbury AFL Premiership with the University Cougars, Ryan is a handy player off the half back flank. The 30 year old has exceptional skills, a great game sense and brings a great attitude to the footy field.